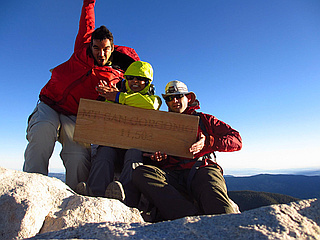 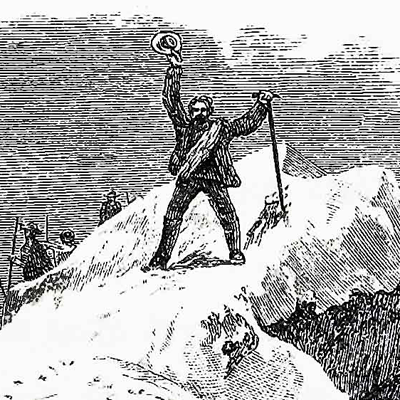 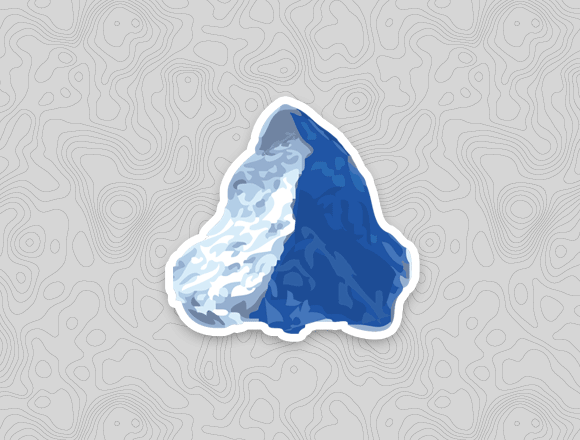 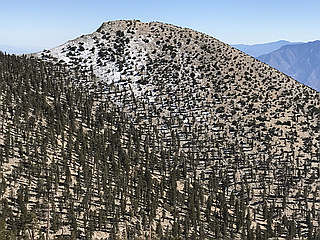 Highest peak in southern California and the 7th most prominent in the contiguous US (8,294 ft prominence). 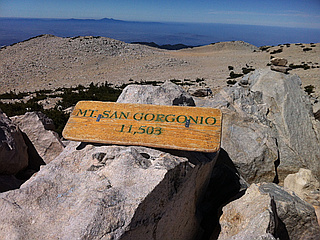 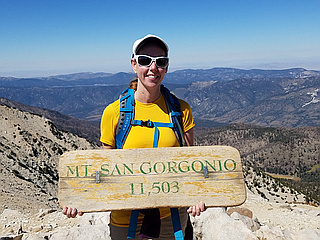 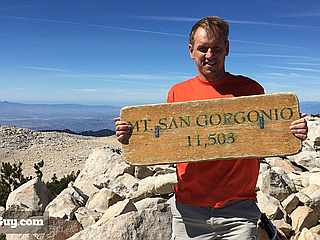 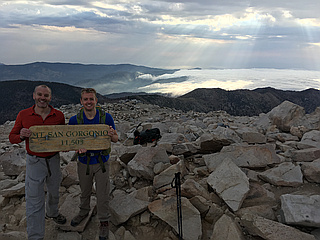 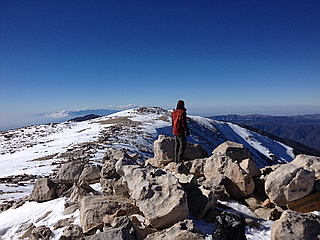 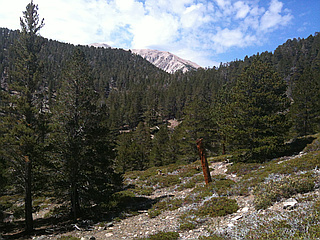 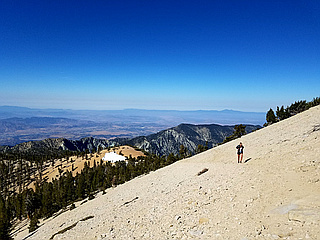 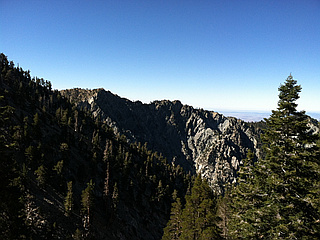 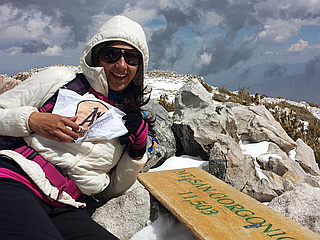 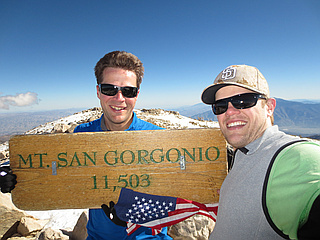 Several trails lead to the broad summit of San Gorgonio Mountain. 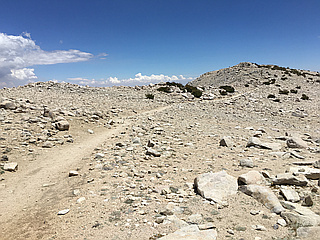 Most routes require well over 4,000 ft of elevation gain.